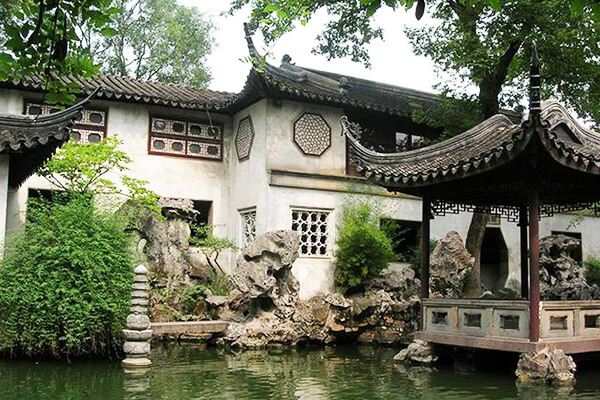 The lingering garden is one China’s four renowned classical Chinese gardens. 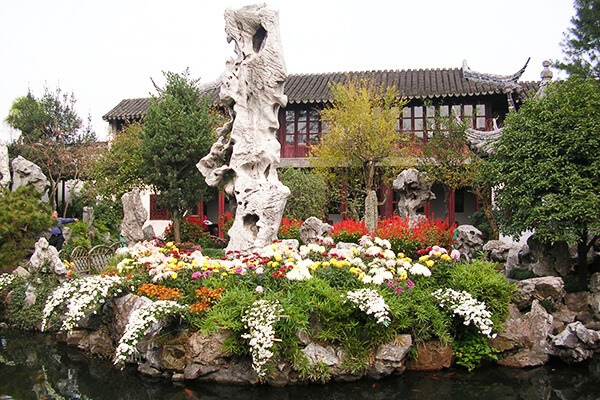 It is located outside Changmen Gate(阊门) in Suzhou. It is recognized as a UNESCO World Heritage site in December 1997.The Lingering Garden, originally known as East Garden was first constructed in 1593(or the 21st year of the Ming Dynasty), with an area of 23,300 sq m.
The Lingering Garden integrates dwelling houses, a shrine, a nunnery and a garden. It is divided into four distinctly themed scenic zones. The central part is oldest part of the garden, featuring architectural structures with double eaves, winding corridors and oddly-shaped rocks. The western part has a quiet environment mostly natural containing a few pavilions, a hill and a penzai (Bonsai) garden. The northern part is composed of bamboo fences and small cottages, full of the rural flavor.